If you're at all like me, you may tend to hang onto things a little longer than necessary, and unruly piles of stuff eventually teeter dangerously on any available surface. I try hard to be organized, I truly do. But, I need a system and well, a system would require some fun and pretty organization tools. So, I took to etsy and I found some wonderful items that I think will do the trick. First of all, I have an out of control collection of cooking, craft and travel magazines. These need to be sorted and neatly held. 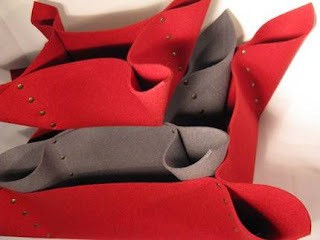 These unique and gorgeous felt magazine holders are from ccommeca. 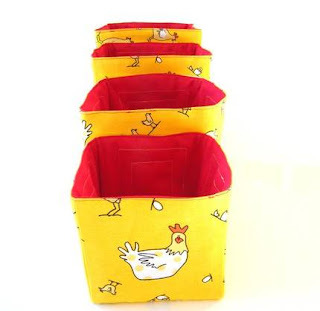 For collecting all the other flotsam and jetsam that I collect, these fabric bins in bright and fun colours are a perfect option. And when I am in an organized state and not in need of the extra storage, these baskets nest together to store neatly away. These come from momfetti. Need to keep track of family appointments and schedules? This is a fun way to do it. 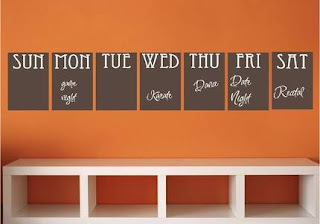 These chalkboard wall decals are lettered with each day of the week. These are from the shop of willowcreeksigns. Do you ever forget to bring your list when you go shopping, or forget that you were meant to pick someone up at the airport after work? OOppps! Leave yourself a little reminder on this combination note-rack and key-rack. 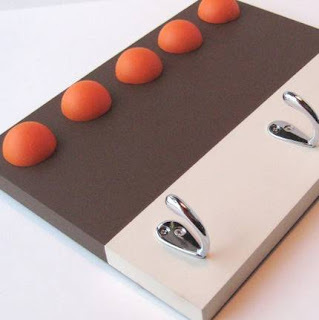 This wonderful idea comes to us from MooreMagnets. Goodness, I can already see surfaces. What a wonder a little extra storage can make. Cute ideas! I especially like the chalkboard wall decals. Thanks for the post!